After L.A., my mom flew home and I flew on to Tampa and then drove down to Bonita Springs. We have dear friends down here, and I hadn’t seen them in a while, so I wanted to come a little early to spend some time with them. 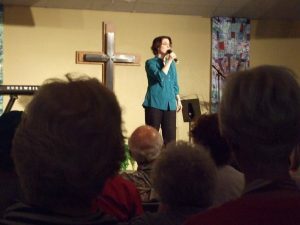 On Sunday, I sang for the services at Covenant Church PCA in Naples. They’ve just opened their new building, so even though I’ve sung there a few times before, it was fun to see their new facility. Oddly enough, the man who took over my studio when I left teaching at Cedarville University, has actually also left CU and just became the music director at this church. Such a small world! I had met him several times, but it was fun to meet his wife and daughter, they were such a sweet family. I hope I see them again soon! That afternoon I drove up to Sanibel Island to do a concert at Sanibel Community Church. I’ve also been here a few times before, and I was so happy to be back! 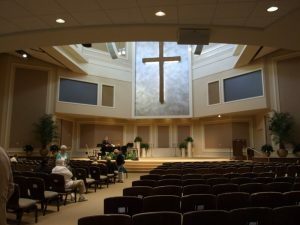 This church and especially their pastor is so warm and inviting – I’ve just loved it every time I’ve come! It’s also fun to return to a place and see the people singing along with my songs. They are building a new sanctuary right now, so I hope to get to see the new one next year. In the morning, I drove back up to St. Petersburg to tape the show “The Good Life” at Christian Television Network. 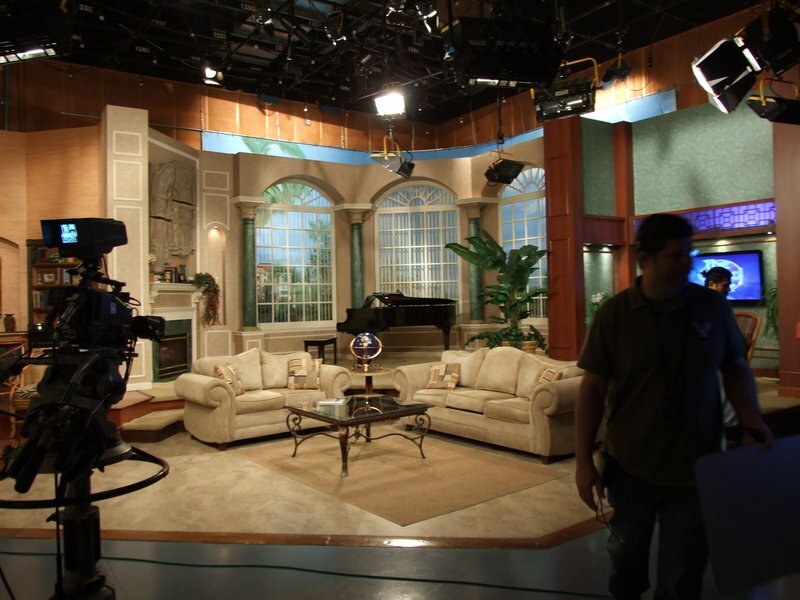 I’ve been on their show before, so it was fun to be back at the studios to talk about “Life Not Typical” and sing a few songs. This show will air on May 4th. After that I headed home. 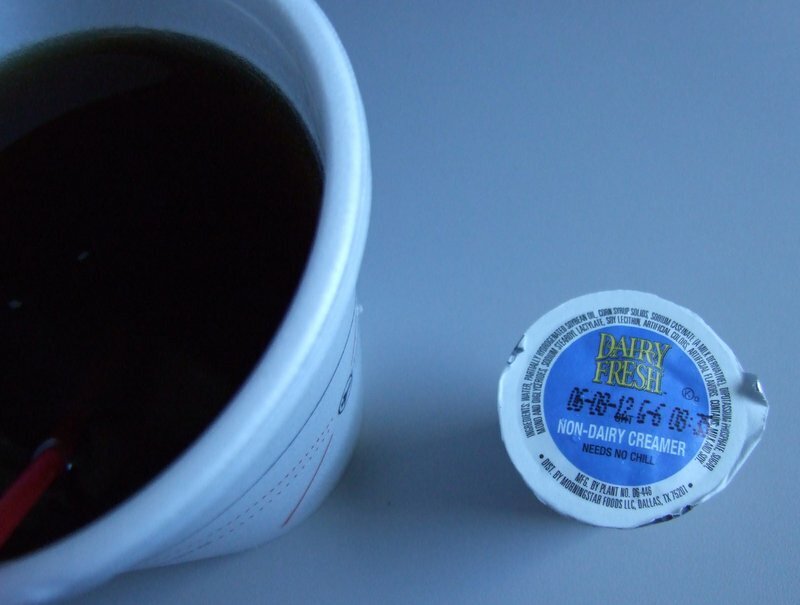 I just had to include a picture of the creamer for my coffee on the plane. The brand was “Dairy Fresh.” The product was “non-dairy creamer.” Ha!! This entry was posted on Thursday, April 26th, 2012 at 8:37 pm	and is filed under News. You can follow any responses to this entry through the RSS 2.0 feed. You can leave a response, or trackback from your own site.